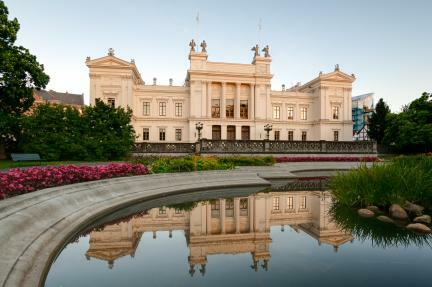 Applications are invited for a PhD position in medicinal chemistry to join Lund University. Successful candidate will have funding to work and study for 5 years in Sweden. Applications are invited up to December 14, 2018. MAX IV is a national large-scale research laboratory providing scientists from Sweden and the rest of the world with instruments for research in areas such as materials science, structural biology, chemistry and nanotechnology. Fully developed it will receive more than 2 000 scientists annually. 200 people are currently employed at the MAX IV Laboratory. MAX IV Laboratory recently received funding from the Novo Nordisk Foundation (http://novonordiskfonden.dk/en) for a new beamline called MicroMAX (https://www.maxiv.lu.se/micromax/), a micro-focus macromolecular crystallography beamline. MicroMAX will exploit new sample delivery methods and the unique performance of the MAX IV 3 GeV storage ring to provide new possibilities in collecting high quality structural data from microcrystals. MicroMAX will build on the rapid development of serial crystallography that is presently attracting great interest within the structural biology community. MicroMAX will not only increase the probability of obtaining structural data from challenging projects where only microcrystals are available but also enable data collection at room temperature and time resolved experiments with a time resolution down to the microsecond range. The Macromolecular Crystallography (MX) group is responsible for the BioMAX beamline that is in operation and the design, construction and future operation of the MicroMAX beamline. We are now looking for a PhD student to work on serial crystallography in collaboration with University of Gothenburg. The student will be enrolled at University of Gothenburg and employed by MAX IV Laboratory at Lund University. The student will be placed at the MAX IV Laboratory, but the PhD work will be in close collaboration with University of Gothenburg with Richard Neutze as academic supervisor. It is foreseen that shorter periods of time will be spent in Gothenburg to prepare protein crystals for experiments, learn methods etc. but also to participate in compulsory parts of the PhD programme. At MAX IV Laboratory, Thomas Ursby will be co-supervisor and supervise the daily work of instrument and methods development. The student will be part of the MAX IV Laboratory Macromolecular Crystallography group and work closely with colleagues developing serial crystallography at MAX IV. We are excited about the possibilities with this PhD project and think that this is a unique opportunity, with the new MAX IV 3-GeV storage ring and the BioMAX beamline in operation with already performed serial crystallography experiments and experiments setups in development, with the MicroMAX project, with the large interest in developments in serial crystallography around the world, with the collaboration between the groups in Gothenburg, at the forefront in this field, and the MAX IV, at the forefront of developments of X-ray facilities, and finally with the collaboration with the high-profile groups in Germany. The group at University of Gothenburg use a range of biochemical and biophysical methods to study the structure, function and dynamics of membrane proteins. A special focus is on new methods within structural biology that utilize X-rays from synchrotrons and XFELs to track structural changes in proteins as they work. The PhD student will be part of a larger collaboration of Swedish and German research groups in a newly started project financed by a Swedish Research Council Rntgen-ngstrom Cluster grant where the goal is to further develop the method serial crystallography. The candidate will develop serial crystallography at MAX IV, both at the existing BioMAX beamline and as part of the development of the new MicroMAX beamline. The PhD project is focused on method and instrumentation development. The project will be conducted in close collaboration with the groups of Richard Neutze and Gisela Brndn at University of Gothenburg. A person meets the general entry requirements for third-cycle courses and study programmes if he or she: 1. has been awarded a second-cycle qualification, 2. has satisfied the requirements for courses comprising at least 240 credits of which at least 60 credits were awarded in the second-cycle, or 3. has acquired substantially equivalent knowledge in some other way in Sweden or abroad. The successful candidate is expected to be at ease collaborating with other scientists within a larger team, and to possess high quality communication skills. In addition, it is of great importance that the applicant is independent, shows enthusiasm for research, has a willingness to learn new skills, and is fluent in English (orally and in writing).